Some people hate packing, but I love it! It is part of my strange love of organizing things. Louie has taken an interest in my packing as well. Not sure if he just has a love of being in suitcases or is trying to halt the process so I won’t leave him. 🙂 He was just in from playing in the sprinklers, hence the crazy hair! As usual, I lay out everything before I pack it up. For Disney there are a few things I have to bring. 1) Anything with Mickey, Minnie or any other Disney character. 3) Rain coats or ponchos because it rains almost every day there in the summer. Needless to say, if you are walking around all day in hot or rainy weather, jewelry isn’t your biggest concern! For this reason, I keep it very simple. I do have a Mickey necklace that I wanted to wear and then added a few little things in. 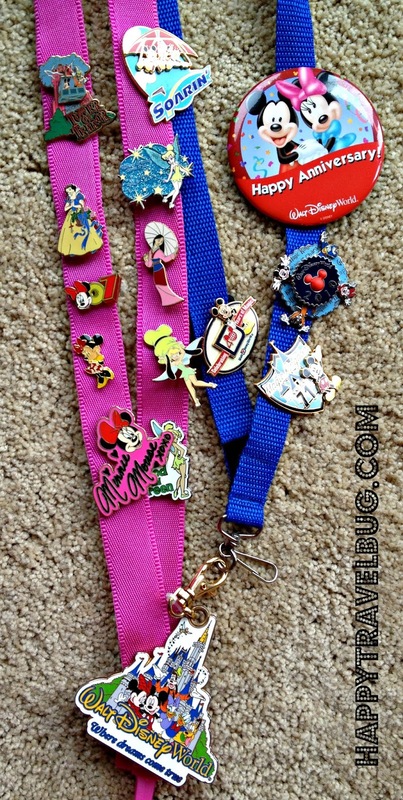 Something I wouldn’t call jewelry, but I do wear around my neck, is my Disney pin collection. Started for my kids when they were little, I now wear these lanyards at Disney (because they don’t want to). I actually really enjoy searching for new pins that might be special to me. Next I tackled the make-up and toiletries. I was checking my bag using Disney’s Magical Express service. Love that service! So I was able to take my larger size liquids. I would love to tell you that the Jergens firming lotion works magic on your thighs, but it doesn’t. 🙁 I did take some special products just for the trip and I explain all about that in the video below. 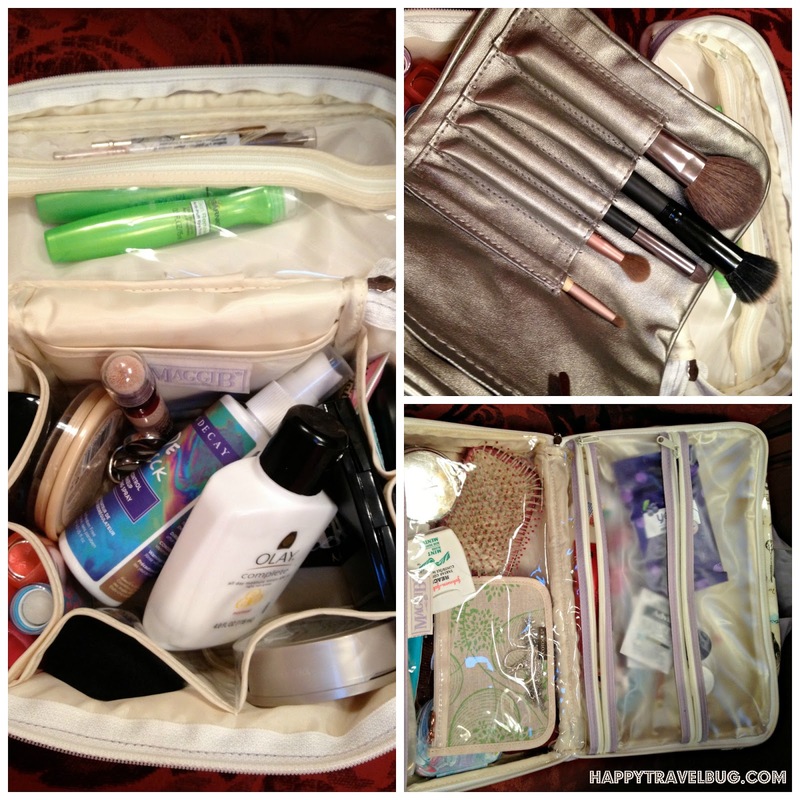 It is great to have nice travel bags for your make-up, your toiletries and anything else you might want to take. 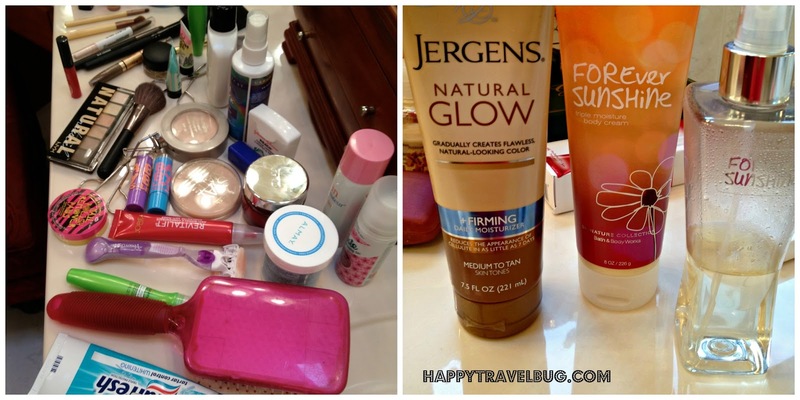 You can find cute and inexpensive ones at Walgreens, Target, etc. Before I put everything in, I have to get this little fluffball out! Next up, Disney World! I put together a video with more details of why I brought the things I did. Happy travels! Hard to leave that little fluff ball! We are terrible at packing – everything last minute. Usually ends up okay, but we also usually forget something important. Your dog is adorable! 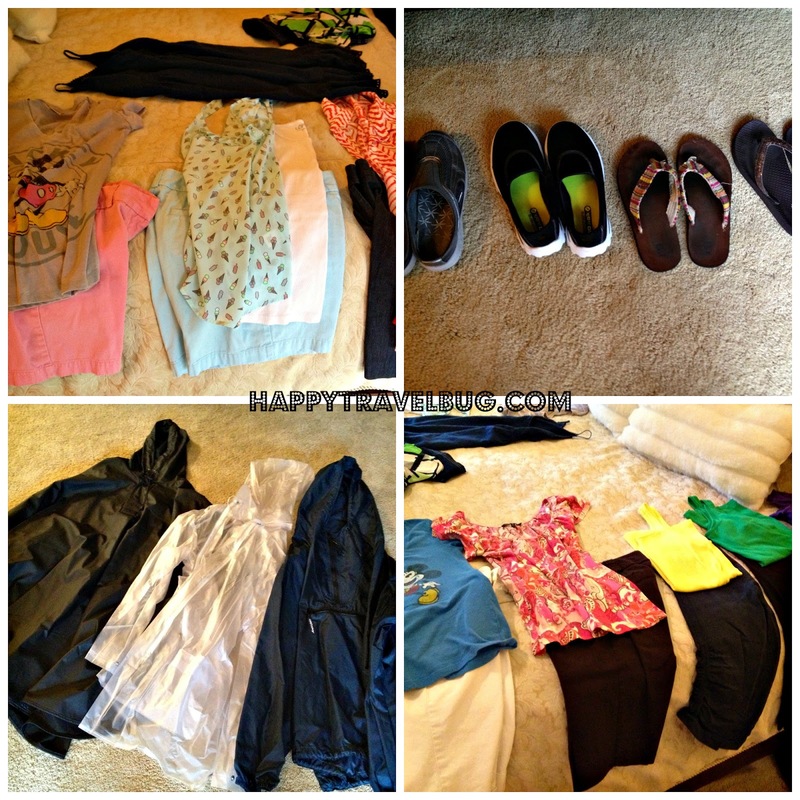 I love the way you pack and your organization is such an inspiration for a sometimes last minute packer like me. I could use that Jergens firming lotion if it worked on the thighs. Have a wonderful trip at Disney World! Thanks, Mary! That lotion didn't firm anything unfortunately! Maybe it would work for you though. Here's hoping! I am absolutely the worst packer. I dither around and get distracted, and in the end I always get away and have things I don't wear, and don't have things I wish I had taken! Packing for camping is easier – shirts, pants, undies, socks, pjs, a jacket and a hat. Happy travels, and thankyou for stopping by my blog today. Thank you for stopping by as well. I don't do a lot of camping, but I can imagine that would be easy! I use blogger. Never heard of the one you mentioned.